Not Included: Any pre or post pilgrimage costs. 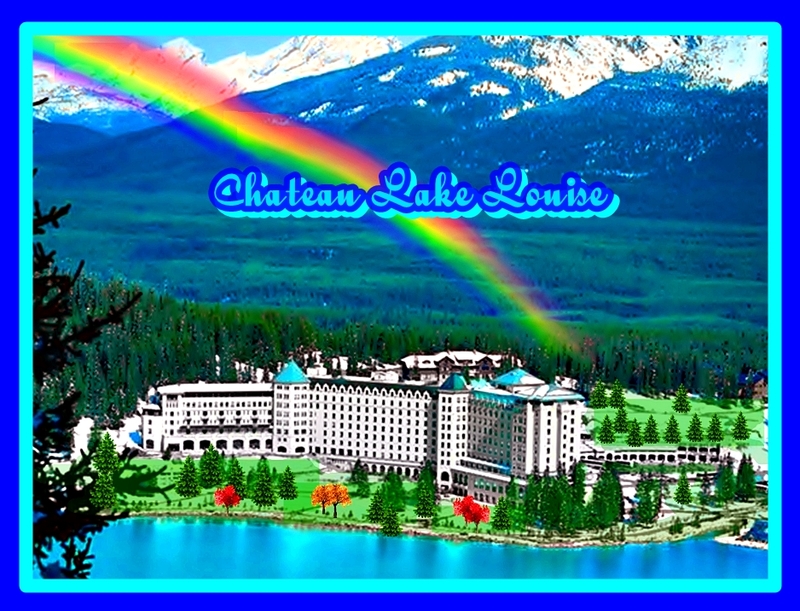 Airfares, Meals, Tips, Bus-Operator Service Fee, waiters & baggage porters . 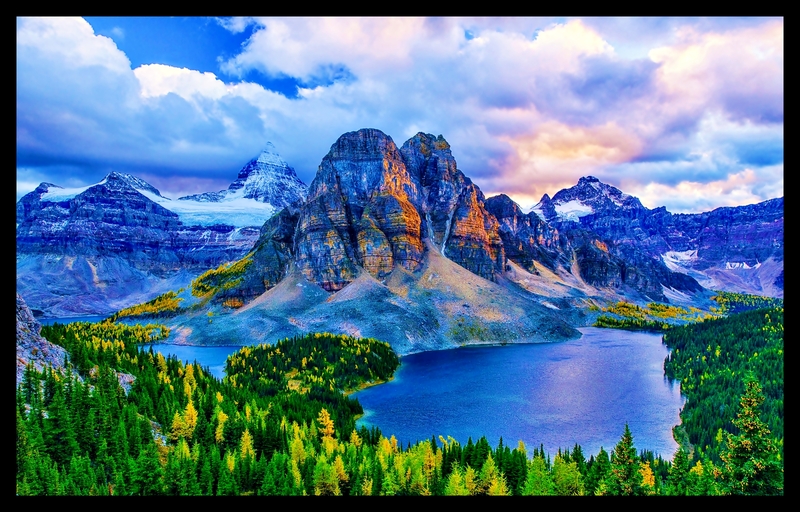 National Park Permit Day Passes - 8 Days & Coach Driver Sevice-Grat Charge are not included & are paid separately & collated in advance $88. We are on a spiritual pilgrimage, we are not tourists. There will plenty of times for fun & laughter, as well as times for reverence & ceremony. Please honor this intent. Please respect & nurture one another. Please be on your best and kindest behavior throughout this journey. It is a sacred pilgrimage that can be truly life changing. Please be on time for every designated bus loading & site departure. We highly recommend & require each participant to take out Travelers Insurance with Medical Coverage, in case you have an emergency or illness that prevents you from attending or need medical care during the trip. This is not provided by Earth-Keeper as designated on the liability waiver section of the registration-form. Once the trip is paid there are no refunds or reimbursements as it is non-refundable to us, once paid. Rate is based on double occupancy of hotel rooms. You will have the option of choosing a roommate. If not we will pair females with females; males with males. It is our experience that Spirit often has a hand in pairings, and people are roomed with 'past life family. We will have a program and scheduled agenda. We ask that everyone follow our program. Attendees must stay with the 'program', and may not divert from the group for separate trips or activities, during planned activity. There will be ‘free time’ designated at certain locations. We do absolutely legally require the Registration Form with Passport information & Travel Liability Waiver be signed and received from each attendee. You cannot attend the pilgrimage if these are not received. The profile & reg form must be sent in with 10 days of initial deposit, as it is needed to finalize bookings with passport details. As described in the terms, the initial deposit and full payment are nonrefundable. That is because we are contractually required to pay in advance for the rooms & coach. Commitment is then a major part of this very special pilgrimage. In the event of illness, accident or any scenario in which someone cannot go after remitting the full payment, please be fully aware that while there are no refunds, you may sell your trip package to someone else...but you will be responsible for finding the other person. We will assist in this process where we can, but the actual selling of your package will be between you and the new attendee. Please also note that there will be an applicable transfer fee of $ 350 dollars payable to Earth-Keeper in the event you sell your trip for any reason in order to process hotel changes & coach details. No transfers after 1 Aug 2019. All due monies are payable only in $US Dollars. Balance payments are by bank wire transfer or US $ Dollar check from a USA based bank. Permissions may be exceptionally granted for balances in certain cases with a debit card. A 5% surcharge is added to any debit credit-card or PayPal payment for balances. We place great emphasis on harmony. Although unlikely, in order for greater good, we reserve the right to remove anyone from the pilgrimage, with loss of trip payment, if behavior is deemed disruptive to the group intent or harmony for this Pilgrimage. Medical Insurance is not provided. Attendees are advised to check on travel insurance with your medical provider, airline or travel agent. This is your responsibility & is required. Note - You must be adequately fit to participate in the exploration of the sacred sites. There will be a fixed time in each location to naturally accommodate the program and set schedules. Certain places may require upward walking or hiking. You must be able to walk the steps without assistance and 'keep up' with the group. However you may at your discretion choose to wait at any lower location and meet the group before departing. We will have three pre trip Webinars to build group Harmony and establish our intent for the journey. We ask that all attendees participate in these. We also ask that all attendees send in a recent photo and fill in the personal-profile' to allow us to all 'get to know' one another before the trip. As an important pre requisite of the trip we ask everyone to participate in the group energy build by attending the webinars and sending in the photo & profile. Group energy is very important. Profiles are required. In the event of any damage to hotel rooms, coaches or facility the room occupant or individual attendee will be fully liability for all damages. All attendees must remit any personal or incidental hotel charges before departing the hotel. 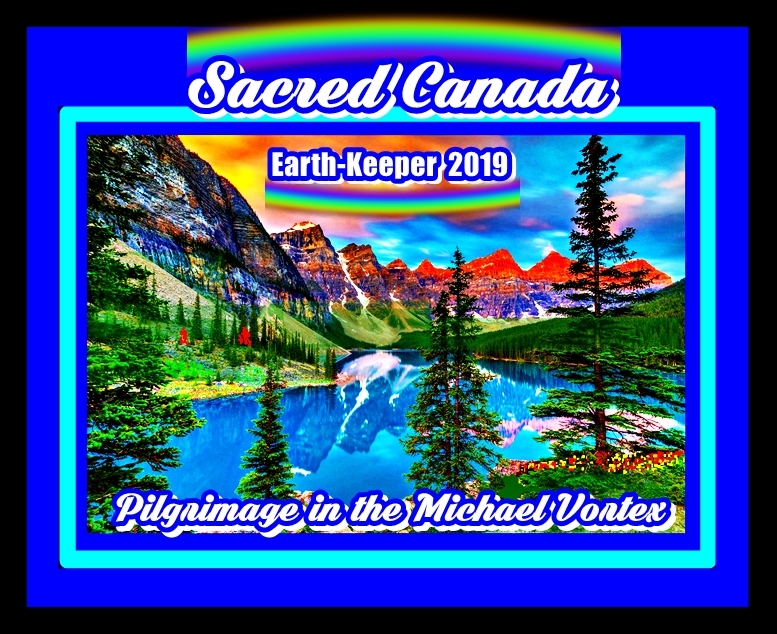 Safe Travel Teams will be established for the Sacred Canada Pilgrimage. The team leader will be responsible for insuring that each team member is on the bus each time we load to go to a location, and each time we depart the location. Each Team member is required to gather with their team for loading the bus. This way no one is left behind. Each attendees are advised that portions of this trip may have hiking to access some of the sites. This is at your option. (It is your choice). Attendee accept the full risks of any walking, hikes, bus transport, and raft trips, and release Earth-Keeper, their sub contracted parties, agents, employees and staff from any liability, and hold stated partiers totally harmless and free of any and all liabilities in the event of accidents, illness or any force majeure as stated above. Tips to guides, bus drivers, waiters and porters are not included in registration fee, and are required. In addition daily tips for baggage handling, restaurant waiters, hotel porters and bus drivers should be paid to each service provider during the trip. 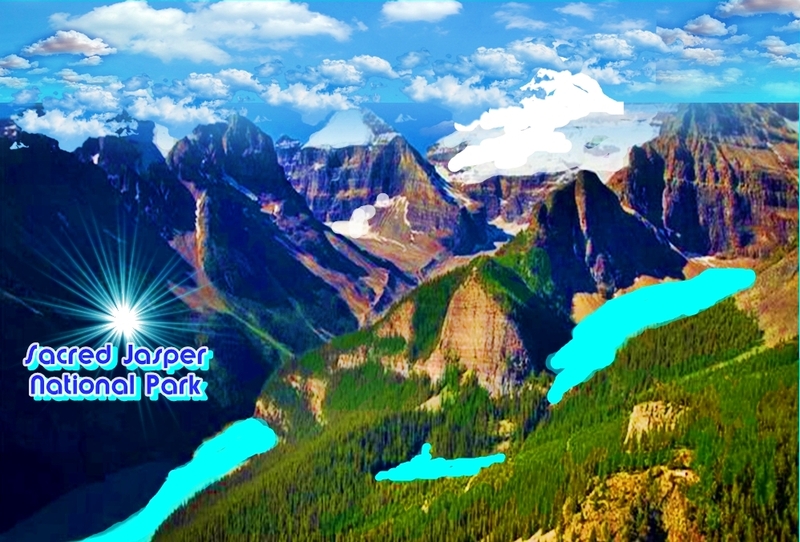 National Park Day Pass & Coach Driver fee are not included & are paid & collated in advance $88. Due by 1 March or at registration. Please check with your embassy to see what is required for you to obtain a 'Tourist Visa' for Canada. This is important and is the responsibility of each attendee. Please begin this process as soon as you register. 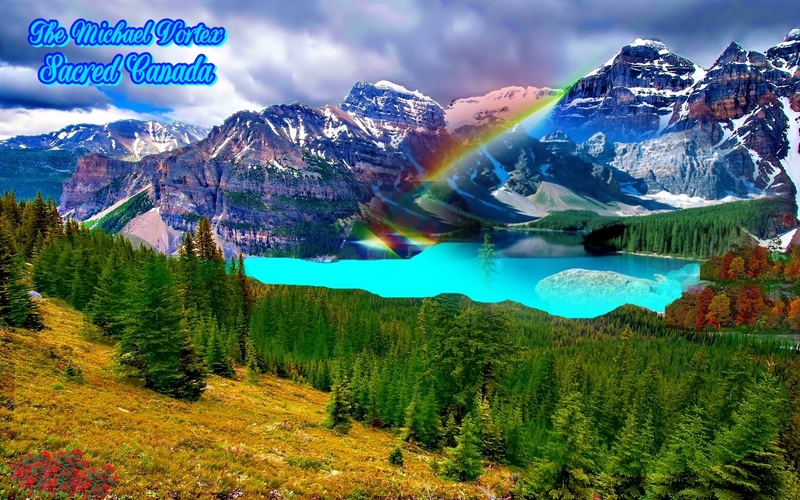 As described previously in the terms of payment, all balances for the Canada Pilgrimage not already paid are due on or before 1 May, 2019. Please have them in by this date. It is very important. If balances are not recvd as required by 1 May, 2019, a 7 day extension period for payment is applied with a late fee of 20% of the due balance. If balance is not recvd after the 7 day extension, the deposit is forfeited and the trip lost. 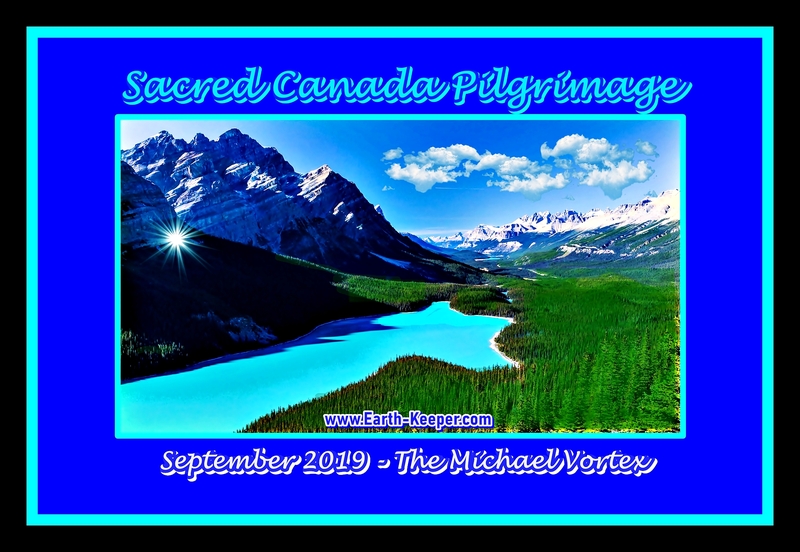 Attendees joining the 'Sacred Canada Pilgrimage after 1 May 2019 (if spaces are available), are required to pay the full amount immediately after registration….within a maximum of 7 days. A very limited number of single supplements for private-hotel rooms as singe-supplements - are available at an additional rate of $1575, if available. We strongly recommend double occupancy. The buses/coaches have limited luggage space. Do not over-pack. Have the ability to consolidate into one suitcase per person with a secondary carry-on shoulder bag or backpack. You may be able to consolidate luggage needs according to the segments of the trip and leave one suitcase at the hotel. Any storage fees will be at your account and liability. Do not over-pack. The formal trip begins at 9-30 am on September 17th, and ends at 2 pm on September 24th. 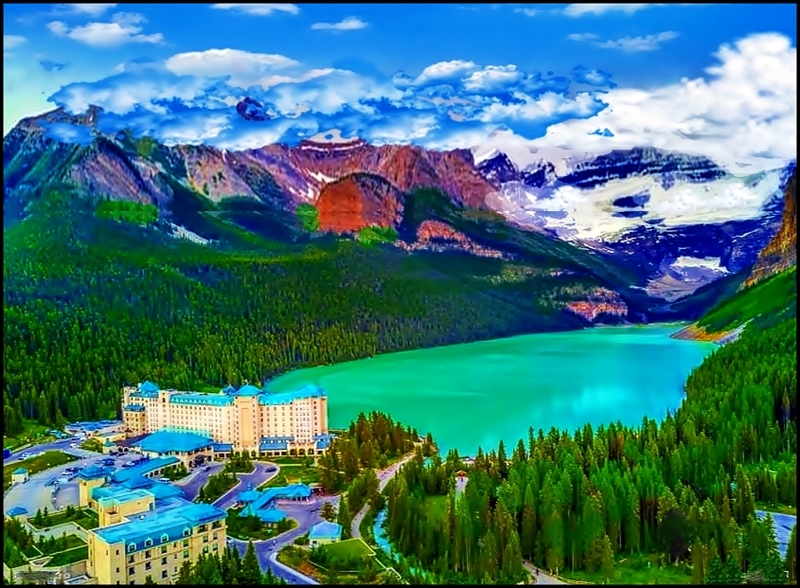 We strongly recommend you arriving in Calgary 2 days early. This provides several advantages, providing a safety margin in case of flight delays or cancellation, time to recover any lost baggage, and time to adjust to jet lag and time differences. Remember September is Hurricane Season in North America & any hurricane can close airports or delay flights across the nation. Do plan a safety margin in your arrival. Our trip has affirm & fixed agenda and absolutely cannot be delayed for late arrivals. 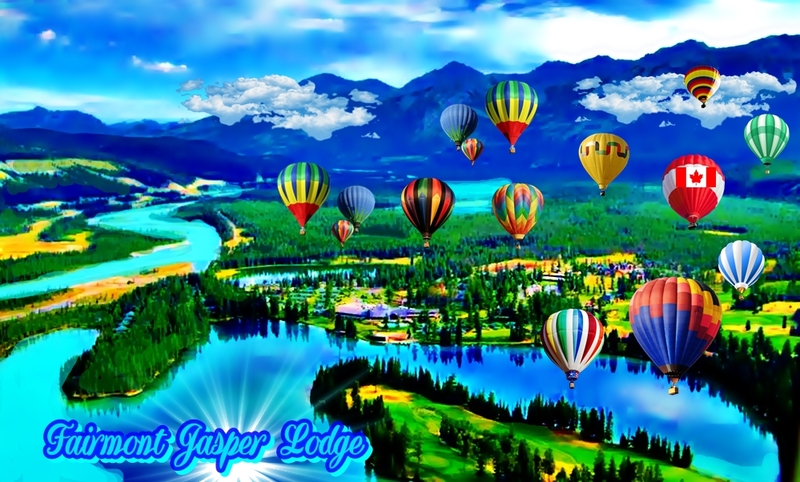 Earth-Keeper are not responsible for any unexpected delays or cease of pilgrimage due to 'force majeure' scenarios beyond our control including civil-unrest, strikes, terroristic causes, flight delays, flight cancel, forest fires, weather, site closure, flooding or bus delays or accidents. Such exceptional coverage of unforeseen events is available & can be secured in personal trip insurance and is the responsibility of each attendee. This is a spiritual journey, and harmony & cooperation is absolutely an essential requisite of participation. In the very unlikely event anyone causes disruption or serious disharmony to the group, we reserve the right to remove that person from the pilgrimage with loss of trip and monies, based on our discernment. All incidental room charges must be paid by the attendee on check out of each hotel. Attendee is responsible for any room damages or damage to bus they are deemed to have caused. In the very unlikely event the host is unable to attend due to serious illness, accident, death or medical emergency, an alternative host will manage the trip & pilgrimage, as scheduled. 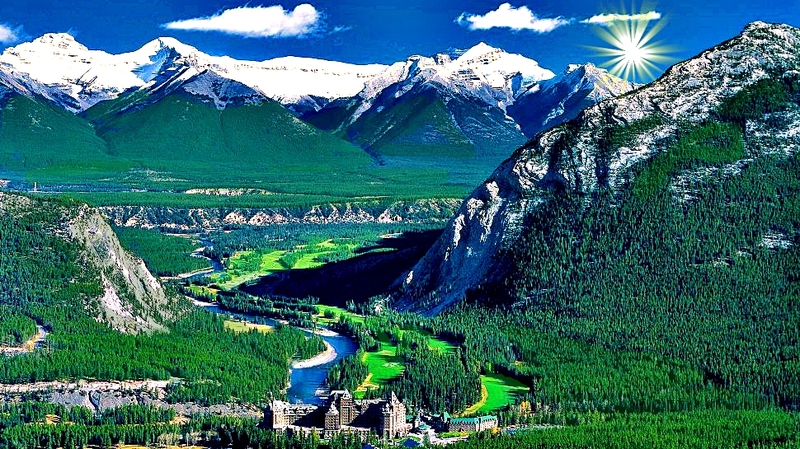 xxxxxxxxxxxxxxxxxThe Mountains, Stunning Waters & Lush Valleys of the Canadian Rockies Are Utterly Astonishing. 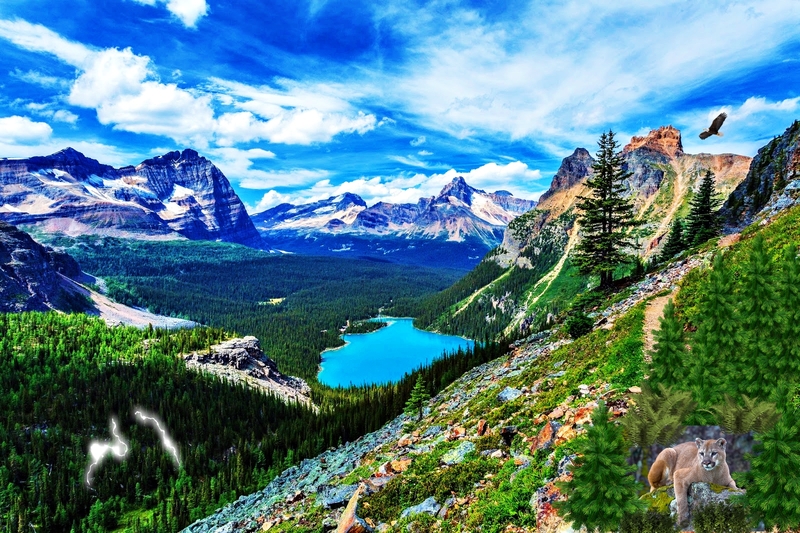 The Area is Not Only Majestic, There is a Profound Spiritual Energy. This entry was posted on February 14, 2016 by admin.